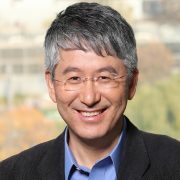 Dr. Qiang Huo joined Microsoft Research Asia (MSRA), Beijing, China on August 1, 2007 and serves as the Research Manager for the Speech Group of MSRA now. From 1998 to 2007, Qiang was a faculty member at the Department of Computer Science, the University of Hong Kong (HKU). From 1995 to 1997, Qiang worked at the Advanced Telecommunications Research Institute (ATR) in Kyoto, Japan, where he engaged in research in speech recognition for ATR’s Spoken Language Translation project. From 1991 to 1994, Qiang did his Ph.D. thesis research on speech recognition at HKU. Over the past 30 years, Qiang has been active in research and making contributions in the fields of speech recognition, handwriting recognition, OCR, gesture recognition, biometric-based user authentication, hardware design for speech and image processing. Qiang received a B.Eng. degree from University of Science and Technology of China (USTC), Hefei, China, in 1987, an M.Eng. degree from Zhejiang University, Hangzhou, China, in 1989, and a Ph.D. degree from USTC, in 1994, all in electrical engineering.